Hi, guys! Hope your weeks are off to a great start! I’ve been working away on projects the last couple of weeks, but don’t have anything ready to post. Instead, I have a giveaway for you! 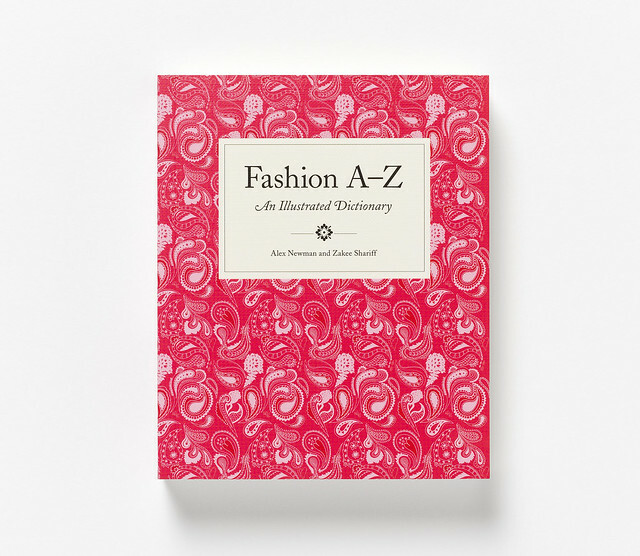 Laurence King Publishing sent me this cute little book, Fashion A-Z: An Illustrated Dictionary, to review. It’s a fun read! It’s, as you would guess, illustrated, and has little definitions and short histories of different fashion terms. I know that dictionaries are sort of out of vogue since you can google basically anything you need to know, but I enjoyed just flipping through this book and finding things out that I didn’t KNOW I wanted to know! 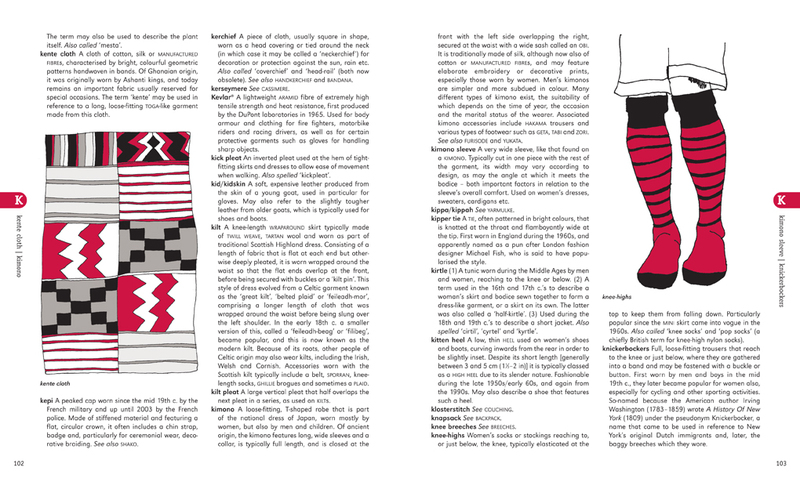 So if you wanna know what an Eton collar is or find out where jock straps got their name (obviously you wanna know this), it’s in the book! 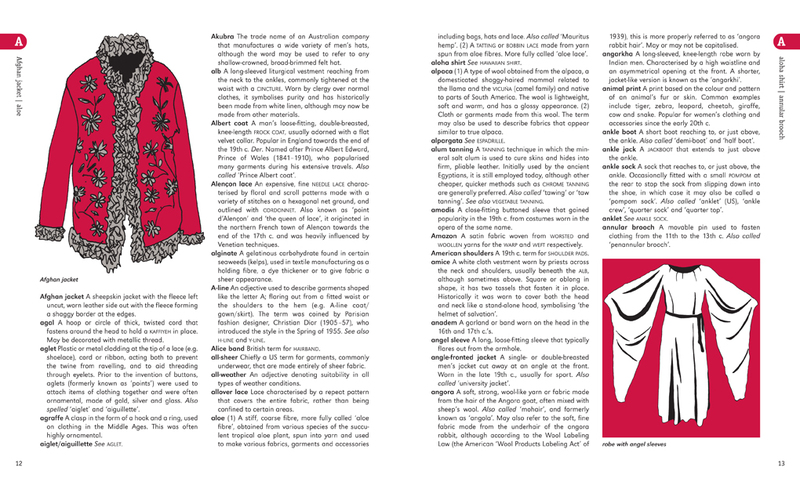 Also, this seems like a good resource for sewing types whose first language isn’t English– it’s hard to imagine basic English dictionaries covering this these terms! Want a copy? Leave a comment below! I’ll close the contest at noon EST on Saturday, June 15th, and I’ll ship worldwide. « Me-Made-May ’13: Let’s Talk About It! Looks like a great Fashion Bible! I love books on sewing, I scour flea markets, goodwill and yard sales always adding to my ever growing collection. What a corker of a book! I’d LOVE it, and would give it a good home. Hello sweet ginger, I was so pleased to stumble upon your blog recently and have been enjoying it a lot. And a giveaway so soon since I have met your blog wowed! – although my lappy is soon becoming my best pal. 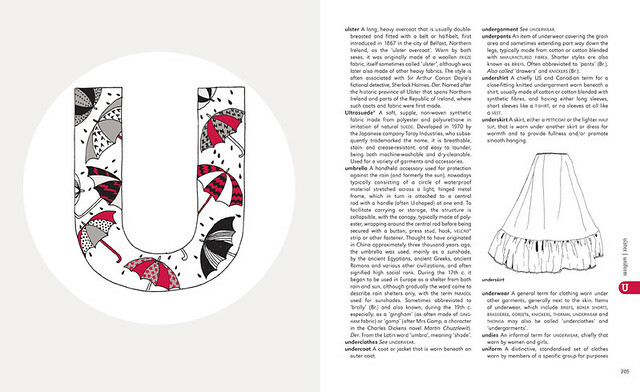 I do love the written printed word especially illustrated, informative, sewing books! oh la la. This book looks like it would be so fun to read! This looks neat! I like the cute illustrations. I’d la la LOVE to win! Thanks! Love dictionaries! Have them on a number of subjects (apart from English and other languages): music theory, crossword puzzles, gardening… Ahh… Ummmm… A few others that are not coming to mind–I’m not at home–at the moment. Sewing dictionary? Nope! Certainly could use one, even though I have been sewing forever. It’s amazing to discover how much I do not know on a regular basis! Thanks for the opportunity, Sonya! What a fabulous book, I adore the illustrations! 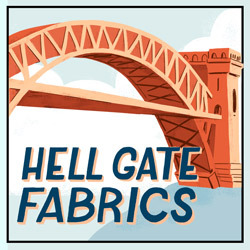 It would be a wonderful addition to my ever growing collection of sewing literature. This would be awesome to have!! !